No matter the size of your business, you need to make sure it’s accessible to as many people as possible otherwise you will be limiting your possibility for growth. With the advancement in technology, companies are finding new ways to make their online presence stronger. If a business experiences success online, it will be able to capitalize on it and make a name for itself. Most business owners understand the importance of a great website and a solid SEO plan. However, there is one area of digital marketing that most businesses overlook. It is this one area that, if implemented properly, can give your business the edge it deserves. Structured data is quickly becoming one of the most popular emerging search methods. Known as schema or markup, you can increase the visibility of your website if you start using it. On a very basic level, structured data is a text-based method of organizing data within a file so that web users can see it. It acts like a predictable on-page database which allows search engines to detect and organize the information available on your website much more efficiently. The more information you provide, the easier it becomes for search engines to display it when someone searches for a related topic. Search engines will begin to utilize the given data to display rich snippets or star ratings so that your website’s search rankings improve, and more people will spot you when they require your services. Your listing in the search results will stand out. This will lead to a higher click-through rate (CTR). The on-page markup can have more information than just ratings. You can also code in details like the name of your company, address, phone number, reviews, physical location and hours of operation to name a few. Schema.org: How does it help? Most developers use something called Schema.org so that the online listing is displayed correctly and consistently. It was born of an open industry collaboration among giants like Yahoo, Yandex, Bing and Google. They came up with a universal set of definitions in reference to micro tags so that all the major search engines can interpret the information displayed on a website. If you add the Schema markup to your website, all the data will get indexed online and displayed properly according to user searches. Google utilizes a very complex algorithm, but even that isn’t enough to help the search engine distinguish between different words on a website. More often than not, the information is simply treated as a string which is why it fails to turn up as a relevant search result. Without structured data, Google might mis-interpret the content on your website and rank you for keywords and phrases that are not relevant. As a business owner, you are always looking to improve your visibility. Structured data will give you that missing edge. Properly utilizing structured data is crucial in 2018. Your listing in the SERPS will stand out among the other results on the page. If you still have not started using it, then these five reasons will definitely convince you to incorporate schema into your site. Since you will be organizing all the information on your site, Google will find it much easier to match them with the keywords typed in by users. As a website, your position in the SERPs will improve leading to even more traffic. These days, providing great content isn’t enough. The search engines occasionally need help to properly understand what it means. No matter what type of business you have, the benefits provided by structured data will always work in your favor. If you use Schema Markup, you will find that your website will become more visible over time. This is because the markup can help provide rich results to users, which then help improve engagement and the click-through rate on your website. Users love receiving snippets of information before they venture on to a website. Here is an example of a SERP listing with a star rating. If you have excellent star (review) ratings, then you would want to convey that to customers right in the search results. Studies have shown that Schema markup encourages users to spend more time on those websites. As a result, there is a dip in the bounce rate. Moreover, you will find a rise in the number of leads and conversions. Having the voice assistant pre-installed on our smartphones has proved to be extremely convenient for the modern user who never puts his or her phone down. Voice assistants have completely transformed the way consumers look for information. When queries are put to search engines via voice commands, they need to be tackled differently. Unless you develop a refreshed approach to SEO, you will find yourself falling behind. The structured data markup is beneficial for voice assistants when looking for your content on the web. Google uses featured snippets and answer box queries to provide answers for verbal questions, and structured data can help improve your ranking in both. 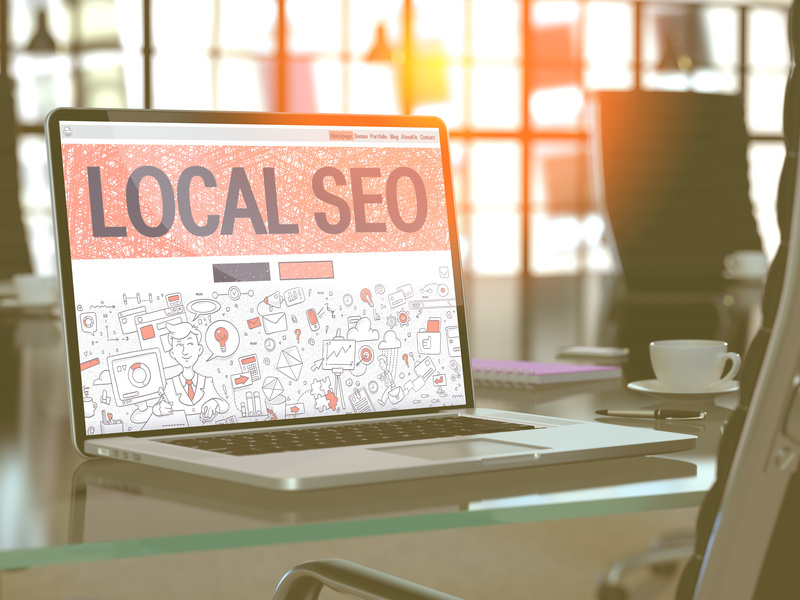 Google’s Knowledge Graph is one of its most important tools when it comes to providing quality search results especially for local businesses. If you have a business that needs to reach the right people in a certain location, then you should properly set up your Google My Business listing and then enter all the data you possibly can. A large part of the Knowledge Graph is generated using structured data. Are you ready to discover the power of Structured Data? That combined with a quality SEO plan will give your business the boost it needs!